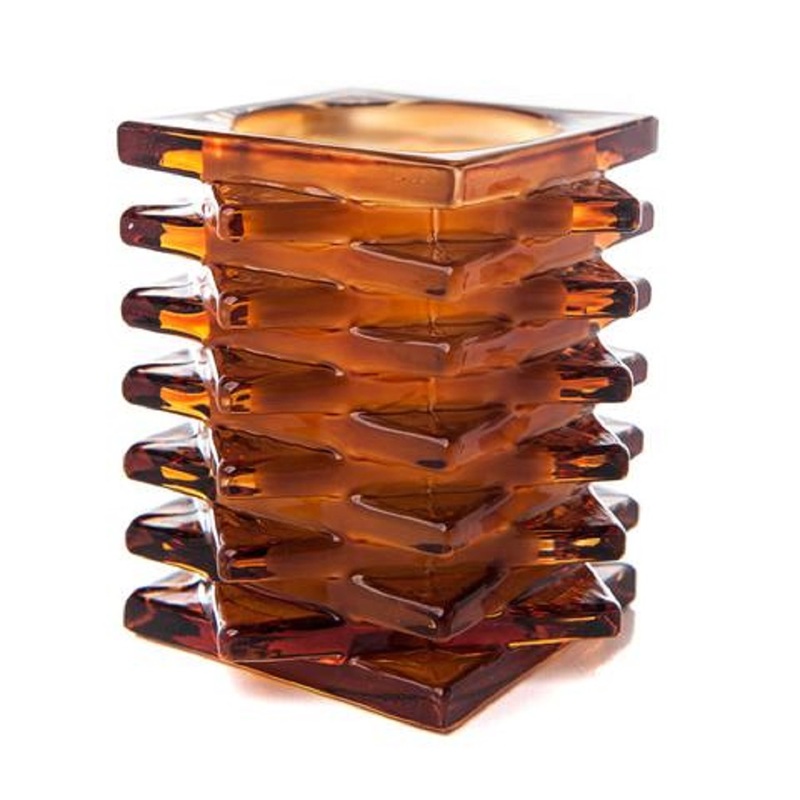 Stacked glass amber candle holder (3.5x3.5x4 inches). As shown. These modern glass candle lamps featured smooth layers of glass stacked on top of each other creating a geometric odyssey for your table top lighting. Hollowed out middle cavities are perfectly sized for our flameless tealight candle (incuded) and frosted to maximize the light diffusion of their natural flicker and glow. With a size of 3.75 inches square, these glass candle lamps are large enough to make a statement without being too imposing. Glass candle lamps can be used both indoors and out, allowing for year round flexibility in all environments. One unscented tea light Over 120 hours of battery life Uses one (1) CR2032 battery per tea light (included). Superior commercial quality. Great for mantles, counters, tables, bars and restaurants.